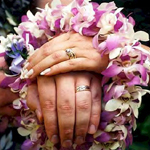 If you are a fan of the stunning Hawaiian islands, consider going for the Hawaiian-themed wedding reception. In Hawaiian “luau” or “feast” stands for family members and friends gathering together for spending some nice time eating, socializing and entertaining. 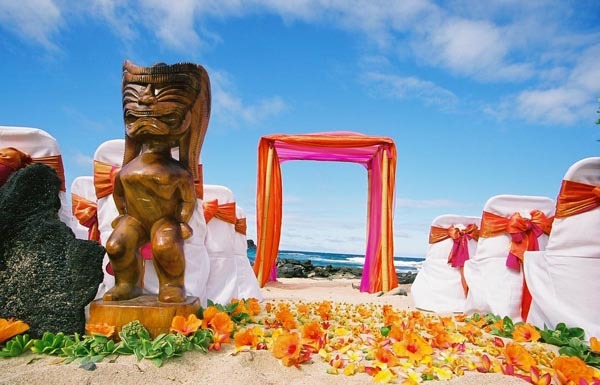 Introducing the wedding luau at your reception is a sure way to the striking and unforgettable wedding celebration. The good thing is that you can actually set the wedding in the tropical Hawaiian style without leaving for the islands by simple incorporating such things as menu, location and attire. 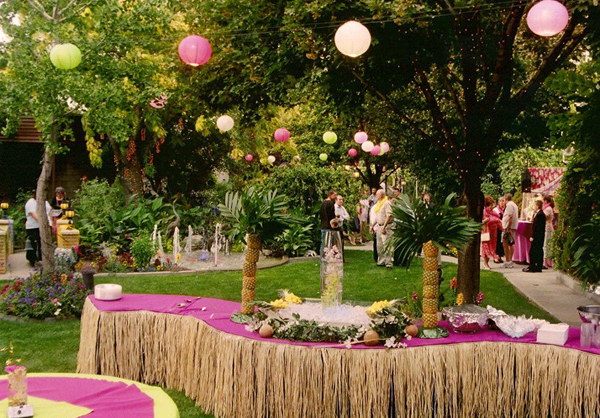 The best location for the Hawaiian-themed wedding reception is the outdoor area like the backyard or park. Don’t forget to provide the few fire pits both for keeping the guests warm and for creating the cozy atmosphere. The tiki torches are the perfect way to add some light to the evening celebration and frighten off the bugs. 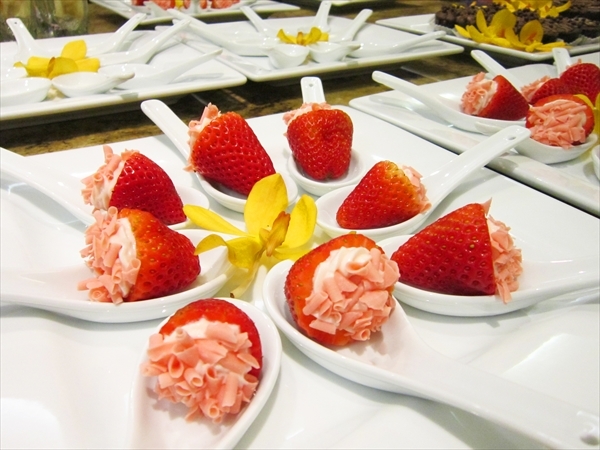 Don’t forget to include in the wedding menu the traditional Hawaiian dishes like mahi mahi tuna, roasted pork and fruit kabobs. Consider embellishing the buffet table with the pineapples and other tropical fruits and serving the drinks in the fake coconut-shaped cups. Ask the bartender to decorate the drinks with the fresh flowers. 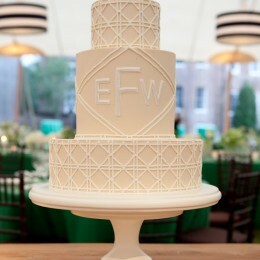 As for the cake, simply opt for the white icing embellished with the bright orchids. 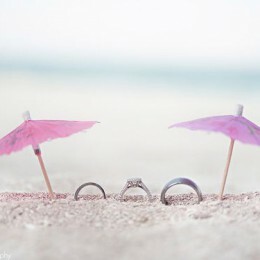 Mention on the wedding invitations that you are planning the Hawaiian-themed wedding reception. 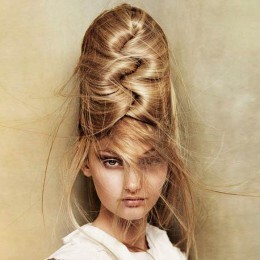 Welcome the guests with the leis and fresh flowers for their hair. Also consider distributing the grass skirts for the true Hawaiian feel. 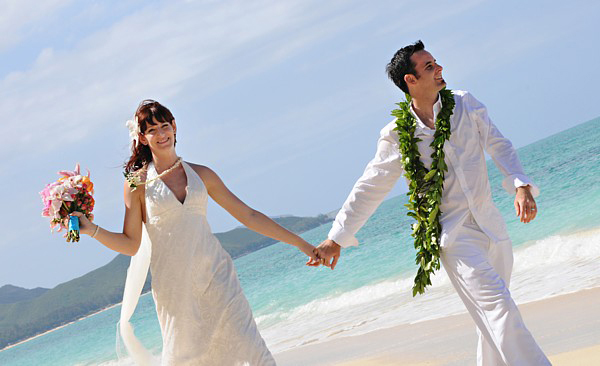 As for the bride and groom’s looks, they could wear the white clothing in the Hawaiian tradition, which is less formal than the ordinary one. 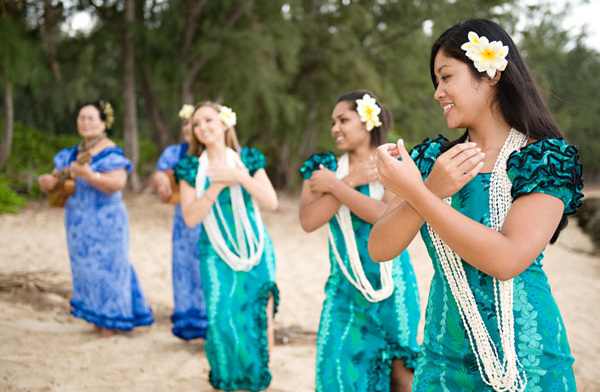 You have got plenty of options to choose from starting from the hula dancers to fire eaters. Hire the dancing instructor to teach the guests the hula dance. Consider replacing the habitual “Here Comes the Bride” song with the “Hawaiian Wedding Song”. Fresh flowers are the traditional decoration element on tropical weddings. Orchids and hibiscus will make the perfect centerpiece decorations. Consider using the glass skirting instead of the traditional tablecloths. For the true Hawaiian vibe consider using the elements like seashells, palm leaves and candles in the venue decoration. As for the lighting, you may incorporate the lanterns in the bold hues for the holiday feel.